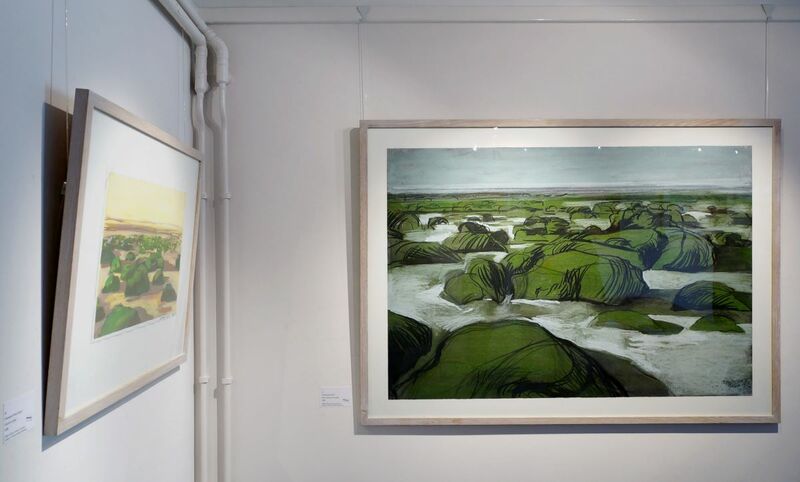 Coastal Forms & Landscapes, the latest exhibition by artist Malca Schotten is a fantastic show appreciating North Norfolk, on show at Mandell’s Gallery, Norwich until 15 April. 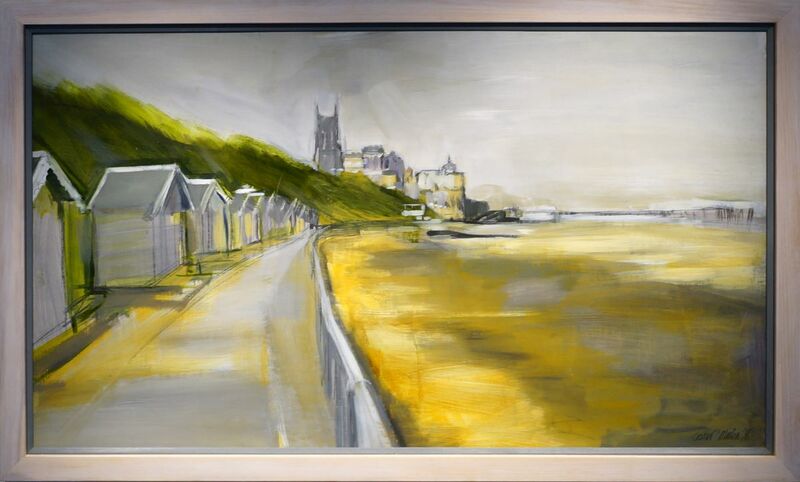 Whilst the artist lives in Norwich much of her recent creative output explores the North Norfolk coastline at different times of day, across the seasons. 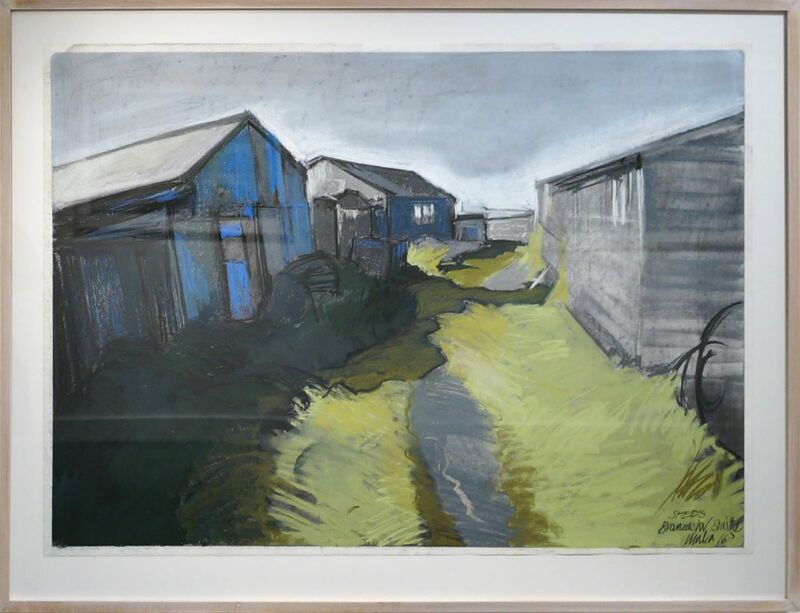 Brancaster Staithe, Cromer, Happisburgh, Hunstanton, and Overstrand, all feature in recent paintings – mainly pastel and charcoal, with a few using acrylic, gouache or mixed media. 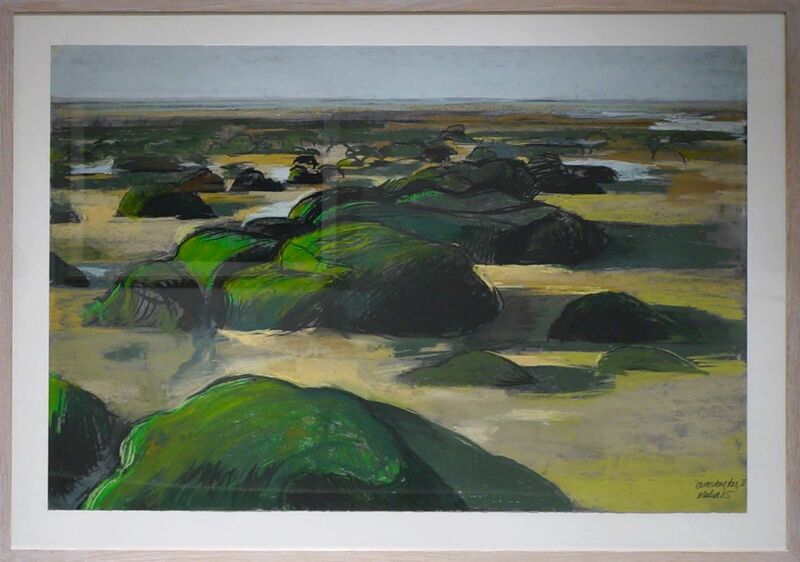 The coastal erosion of North Norfolk beaches has been of particular interest in her visits and past works. 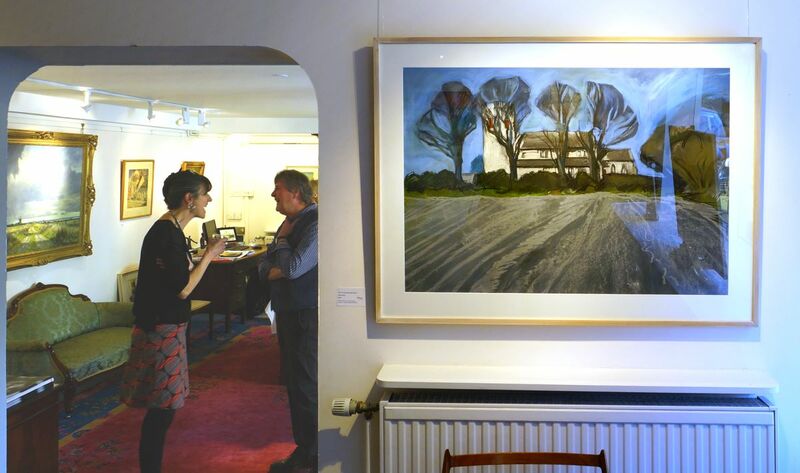 The large expanse of Norfolk’s land, sky and sea views lends itself to her working big with most of the works in this exhibition 66x97cm. 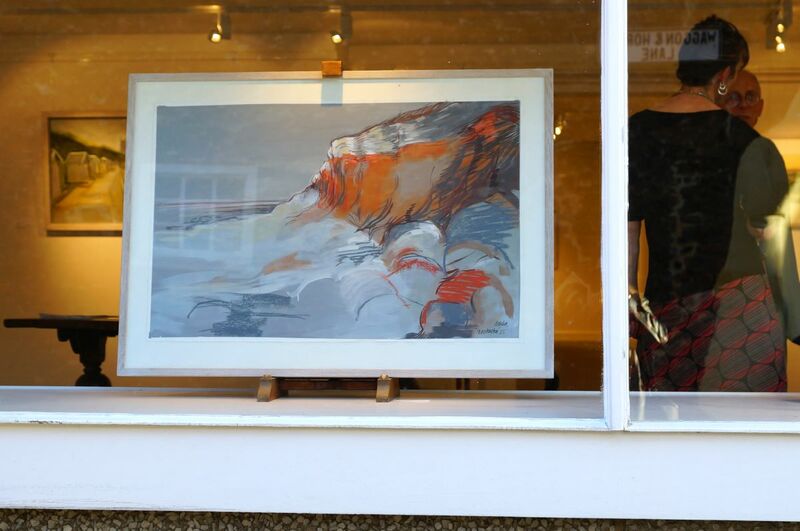 Schotten describes her artwork process as “carefully crafted yet raw and expressive, emerging from a primal response to the subject, using my visual and emotional memory to develop the work”. She comes from a family of European immigrants with her parents’ culture also including their artistic background, her father being a book designer and her mother a potter. 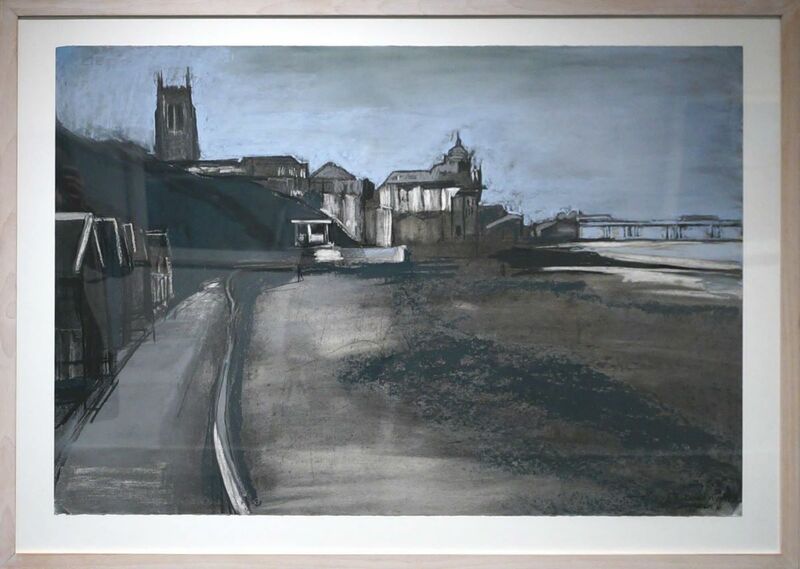 Schotten studied at art school in Brighton, spent the 1980s in North London, and then moved to Norfolk, where her artwork is now based and influenced by.